For awhile now Karla from Foodologie and I have been following the LA Cake Club on Instagram and have found ourselves drooling over the delicious cakes that are enjoyed at each gathering. 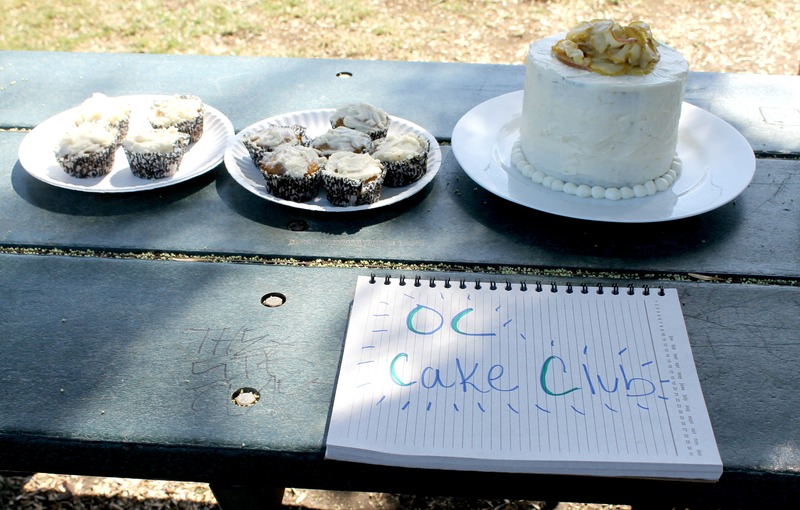 Karla had the genius idea of founding a cake club in Orange County, and so the OC Cake Club was born. For our first inaugural meeting, I decided to make some gluten free carrot coconut cupcakes with mascarpone frosting. This cupcake inspiration actually came from the birthday cake that the Englishman made for me this year. Since I’m not the most well versed in cake baking, I decided to keep it simple and make cupcakes instead. The recipe comes from Elana’s Pantry and I followed it almost to a T, with just a couple of modifications here and there. For the frosting, I simply mixed mascarpone cheese and powdered sugar which was the perfect complement to the cupcakes. If you are new to grain-free or gluten-free baking I highly recommend checking out Elana’s recipes. She doesn’t use any fillers like xanthan gum and she uses minimal ingredients. Plus, everything I’ve made from her blog comes out delicious. Preheat your oven to 350F. Line a muffin tin with paper liners or coat with cooking spray. In a large mixing bowl whisk your eggs, olive oil and honey together until well blended. Add your almond flour, salt, baking soda, cinnamon, carrots and coconut into the mixing bowl and continue to mix. Gently spoon your batter into the muffin tin and place in the oven for 18-20 minutes. While your cupcakes are baking, mix your mascarpone cheese and powdered sugar together either using a hand or stand mixer. 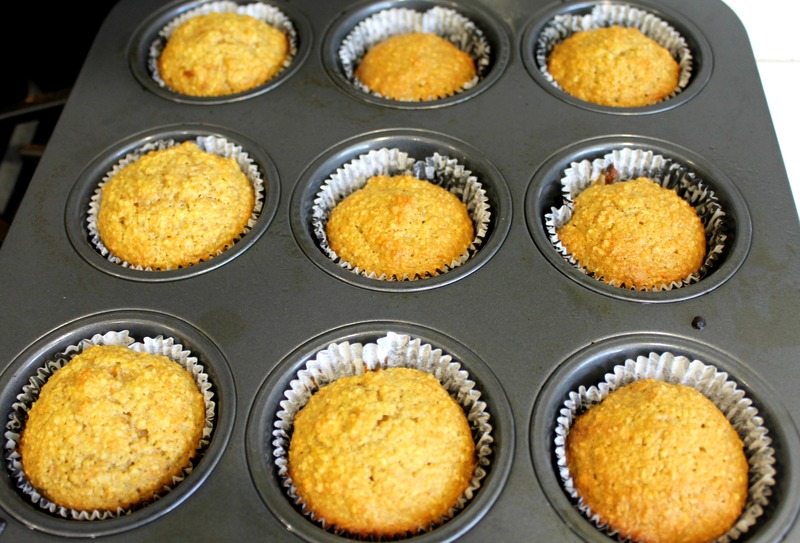 Remove your cupcakes from the oven and let them cool for 15-20 minutes. 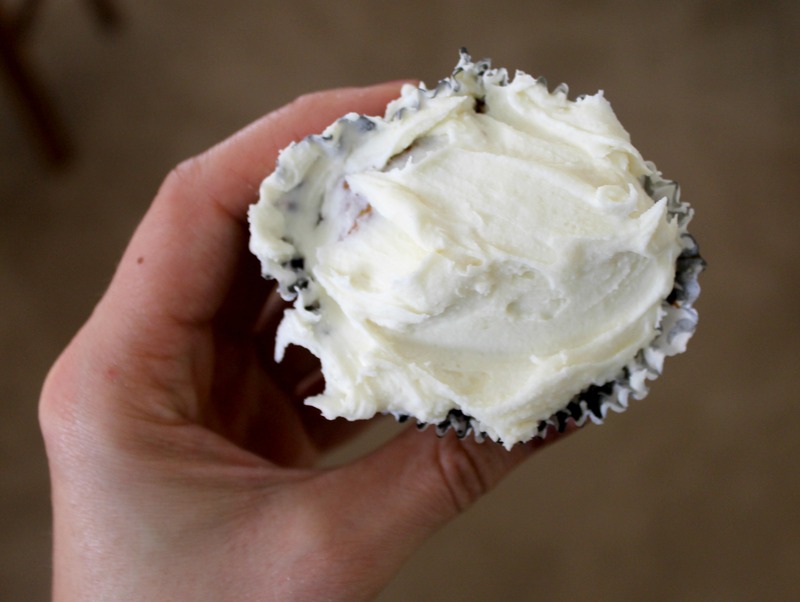 Gently spread your frosting on top of each cupcake. I’ll admit I am NOT the best when it comes to frosting cupcakes, but I promise these taste delicious. 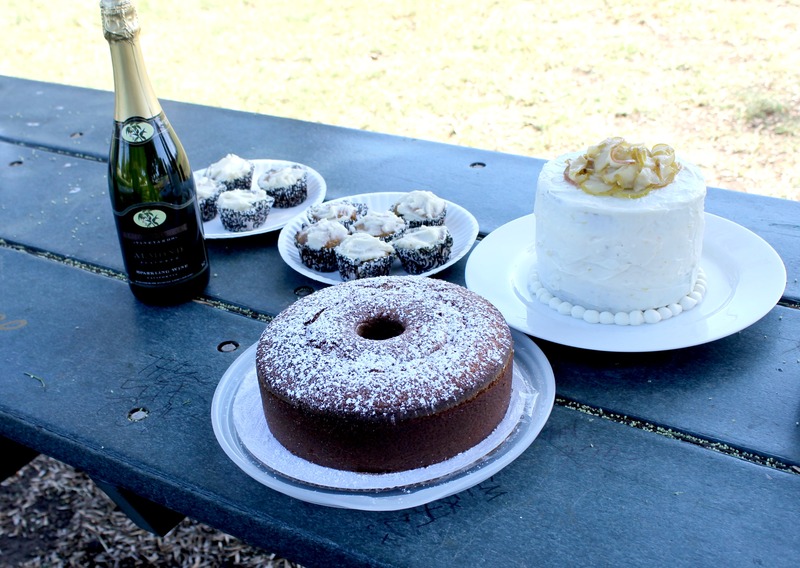 I brought my cupcakes to the OC Cake Club and they were shared amongst the group along with Karla’s beautiful gingerbread cake with rum-soaked pears and Robyn’s 7-up cake and a bottle of almond champagne from Tanaya. One day I will be able to make something as lovely as these ladies. 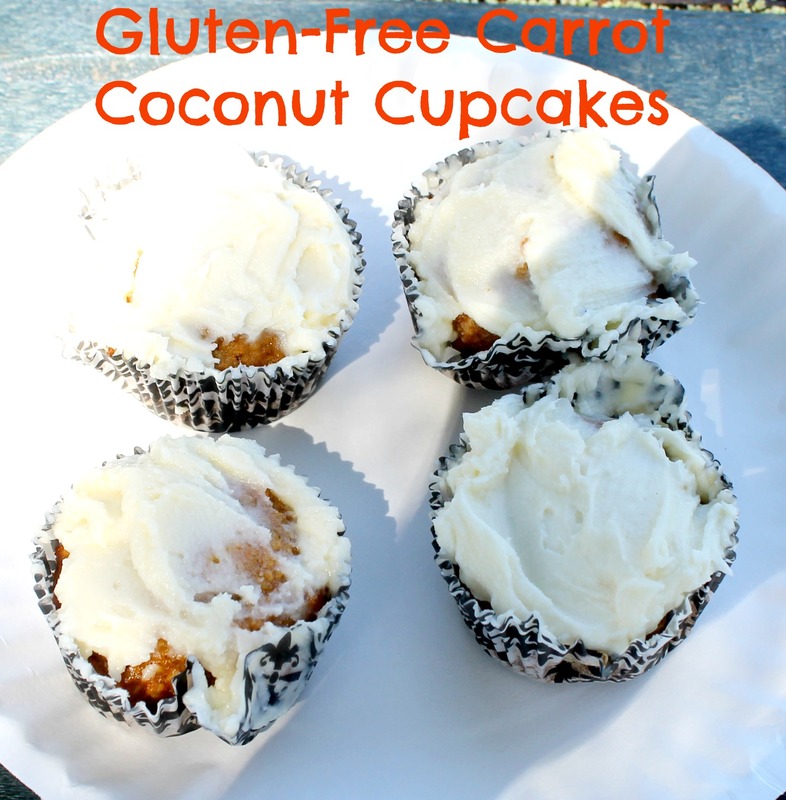 This entry was posted in Gluten-Free, Good Eats, Orange County and tagged cupcakes, Grain-Free, OC Cake Club on October 6, 2014 by allie@sweetpotatobites. Yay for Cake Club! I am excited for the next one. Your cupcakes were super tasty! I’m a fan of coconut, some toasted coconut on top would have been great decor too! I’m so glad you liked them! I was a bit nervous on how they would turn out! Karla was telling us about Cake Club! These cupcakes sound great – you had me at mascarpone frosting!!! Mascarpone frosting is pretty great not going to lie! Okay, you keep posting things that sound delish even though they’re gluten-free. One day I will break and try something gluten-free! These look absolutely amazing. I’ll definitely be making them soon!